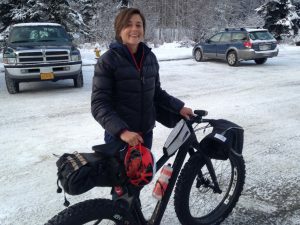 On the next Outdoor Explorer an interview with Lael Wilcox, whose life is one of Alaska’s most remarkable stories of physical accomplishment. Wilcox left to see the world on her bike, and never stopped, becoming a top endurance racer without really planning to. She’s a woman who beats the top men, including on a race across the continental US–only the third race she entered. Best of all, she’s totally fun and charming.